Your showroom floor is where the magic happens. Regardless of whether you are presenting cars, clocks, furniture or anything else, if the floor you choose does not match the product and the overall look of your space, then this is going to negatively impact your business. 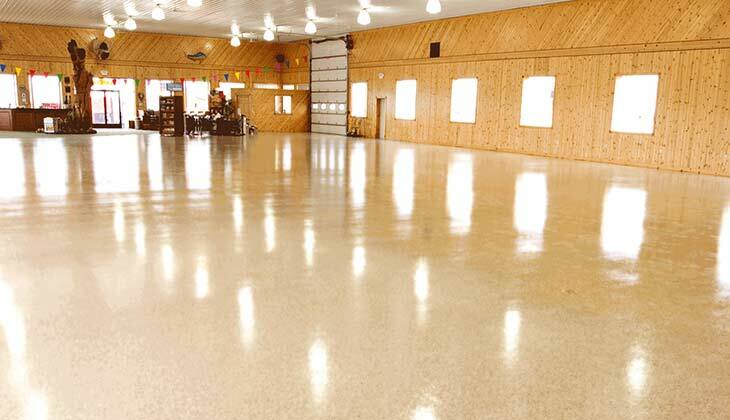 Choose a floor coating that is not only resistant to damage but also look amazing and opt for Polytek Surface Coatings. As a leading name in commercial concrete coating for both interior and exterior areas, Polytek Surface Coatings can help you determine the right look for your area. You want to choose a coating that is vibrant and bold but that does not take away from the products. Choose from several different colors and blends for your showroom. Go au natural with nature inspired colors such as mossy tree, ocean front and rosebud. These are only some of the many colors and options you have when determining the right coating for your showroom. Think about the space you are working with, the colors of the walls and other areas as well as the products you are displaying. Whether you are looking to restore an older floor that is now damaged or worn down or whether you are looking to start from scratch, we can help. Come in and speak to our team of designers and installers. We can help you select the right coating for your area that will not only offer protection from every day wear and tear but that will also present your products in a positive light. All of our work is guaranteed and comes with an extended warranty. When it comes to your home or business, only the best will do and this is what we promise to deliver. Contact our team today for a free quote at 507-380-7655.